We are pleased to announce a special giveaway by our sponsor HUSET! 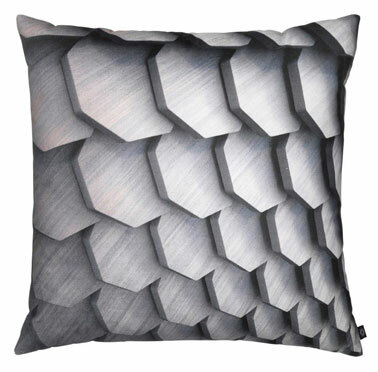 They are offering a gorgeous By Nord Magnified Reality Cushion to one of our readers! Choose between Ash, Wood Tiles or Moss (see below). Retail value: $135.00! The giveaway will close on the 1st of October 2013. 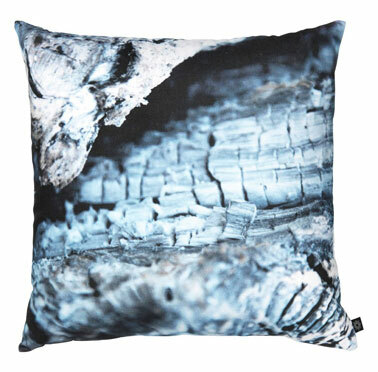 Let nature in with these gorgeous cushions with photo prints from Danish label By Nord. By Nord produces timeless home accessories of high quality. This Danish label has been founded by fashion designer Hanne Louise Roe Andersen and graphic designer Hanne Berzant. These two friends are inspired by Nordic nature which you see from their designs. Each pillow comes with a down insert. It is hard to decide which I like best! 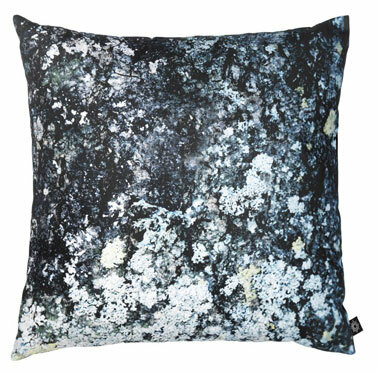 I love both Ash and Moss, but I think the Moss pillow would look best in my living room. Great pieces! I love the wood tiles cushion. As cabinetmaker this is really a must-have. Nice giveaway, I love the moss one ! I would like the tile one! Moss since there’s no (almost) wood in Iceland. I like the more abstract quality of the Moss pillow. It’s a bit mysterious. I love tiles the most! Wonderful Give Away, gonna share it on Facebook! Great Giveaway! I’ve been dreaming about By Nord pillows for ages! Wow! Love theme all… But going for the wood tiles! I would love to decorate my HOUSE with the beautiful Moss cushion!!! Following fb and lovely giveaway! Crazy about by Nord! i like them all but wood tiles would look perfect on my couch!!!! I love how the cushions are designs. It’s like bringing nature into the house. I love being outdoor, and being in nature, so I would love to have one or more in my house. They would look good with my plants & other things here. I Like the Wood Tiles best, during winter I love to sit close to the open fire, this cushion would be the perfect companion. I Love Nordic design!! So hard to choose, but I think Moss would look best on my bed, then I can wake up to it every day!! Thanks HUSET for giving us a chance. I would love a MOSS most ^^. Grábrókarhraun’s 3000 year old lava fields overgrown with downy moss. I love them all but the Ash one is the best! Nydelig! I love the moss pillow! All of them are beautiful! Moss would perfectly fit in my living room. teh wood tiles are great! Definitely the wood tiles cushion. Absolutely gorgeous! Absolute raw beauties. To choose one, it would be the moss cushion! Love the wood tiles! Liked Huset on FB! I’d choose the wood cushion. I love the Moss one. I cross my fingers!nice pillows! I would pick the Wood Tiles cushion! I belive I would say… ash ! But they are all amazing! I love the By Nord products and would really, really love to have that Moss pillow. I love the wood tiles…..So nice!!!! I love the ash. Thanks for this awesome giveaway. I love the Ash or is it Moss. They got 4 names but 3 pillows. I think one is either Ash or Moss. That’s the one. Thanks. omg they are to die for, I would be happy with any of them but if I had to pick I think the wood is super amazing!! I LOVE the “geometry” of the wood tiles pillow. But they are all beautiful! All are beautuful, but maybe moss is my favourite. moss moss moss :) ! I think these pillows are amazing, the ash pillow is amazing. I’ll take the ash one please. Thanks. They are all beautiful but I would love the ash cushion to keep me warm by the fire! i’d go for wood tiles! amazing pillows! !thanks for this giveaway!! The graphic quality if the wooden tiles is amazing! I would pick that one for sure. I really like the ash pillow. I would choose the moss….I’ve never seen anything like these. I liked on facebook under wen budro. I love the Moss one. It would go in any room and would do great at not showing dirt, which is awesome when you have pets :) Thank you for the chance to win!! Let’s bring nature nature inside! Like the wood tiles ????! HUSET is great. Definetly will pick the Moss one! I would pick the Wood Tile one! Thanks for the giveaway! I would enjoy the ash pillow the most!? reminds me of a cosey fire.